One of the most common misconceptions about folks involved in MTGFinance is that we are constantly manipulating the market and feeding players misinformation to help fuel achievement of our personal goals. Note: All cards NM unless otherwise noted. All sell prices are net of fees unless noted. My total haul of MM2 boxes now stands at 20+. The revelation of the full set list through plenty of folks for a loop, as the final rares list was significantly less exciting than many had hoped for. Running the Estimated Value (EV) calculation on the set however has revealed that much of the value has simply been shifted to the mythics and the current EV per pack is very close to the MSRP of $9.99. This means that opening a box at MSRP is roughly equivalent to the math on opening a box of MM1 in the summer of 2013, which featured a similar EV. Each pack you open will feature higher variance, but the more packs you open the more likely you are to even out your opens. As such, I’m expecting the EV to fall off in the weeks following the triple Grand Prix into the $7-8 range as people sell off their opens. If the set is constricted on supply and/or considered too risky by players to open frequently, I would expect the box trajectory to follow a similar path to MM1, with less total upside. My current target is $325 on boxes by December 2015. Even if dealers end up having more supply than my sources have told me they will, a neutral EV out of the gate is unlikely to motivate them to open enough boxes to further tank the singles market on the mythics. We now need to see how the draft format is received, because a great format will drive sales and pack openings, and push EV further down the curve, whereas a bad draft format could keep the price of key cards relatively stable. More on this as the issues play out. Most of my singles purchases this week were simply opportunistic grabs at prices below retail, or cards I expect to continue rising heading into fall. Pucatrade was a huge help this week, allowing me to out MM2 reprints like Leyline of Sanctity, Wilt Leaf Liege and Tarmogoyf at full value. I now have about $700 worth of Pucapoints, accumulated since the end of March, and my goal is to trade into a mox on that platform before the end of summer. Thunderbreak Regent (out) for one Dragonlord Dromoka (in). Note: The rest of the guys were quiet this week. Putting some money aside for the two weeks after the triple MM2 GPs across the globe is a solid notion indeed. Tens of thousands of packs will be opened at those tournaments and many of those players will be looking to sell of sweet opens that they don’t need for their own decks to recoup some of their trip costs. This should lead to a plethora of good deals as the sellers crowd each other out in a race to the bottom of the price ladder. This will also be the period where key standard cards will start to bottom out into their usual summer doldrums, and great cards from Khans block are likely to be in bargain territory with so much focus on Modern cards. Before you plow too much money into the Eldrazi from MM2, keep in mind that we are very likely to get even more exciting Eldrazi this fall in Battle for Zendikar. Since the Eldrazi characters are set in stone, new versions could easily injur the price points on the earlier editions if they prove more interesting to collectors. The absence of man-lands, Inquisition of Kozilek and Goblin Guide leaves me wondering whether WOTC will simply reprint some or all of these cards in the fall. This makes me very hesitant to get in on any of them right now. As I’m writing this Yohan Dudognon is 7-0 at GP Paris running an entirely new multi-color Collected Company deck running Mantis Rider, Savage Knuckleblade and Elspeth, Sun’s Champion. He just tapped out end of turn for Stoke the Flames tapping Riders and Knuckleblades so he has my full attention. Bottom line: Collected Company is proving to be a flexible and powerful magic card. Foils should be top targets while they’re cheap. I have them breaking $20 later this year. So there you have it. Now what were you guys buying and selling this week and why? ADVERTISEMENT: Get the Cube Starter Bundle with the 3rd Edition Grimoire Deck Box, the brand new Grimoire Deck Box designed specifically for the red mage in you. What’s the reason for trading Thunderbreak for Dromoka? Knowing Guo he needed it for a deck. Haha for once it was not because I needed it for a deck. Not at least right now. At FNM a few days back, I was having a chat with a friend who was running Mike Flore’s Blue Dragons deck and we discussed about how Dragonlord Dromoka is actually a pretty solid card. She is guaranteed to resolve (great in a meta filled with Esper Dragons) and with 7 toughness, she is pretty hard to kill barring a Hero’s Downfall (even that entails a slight loss of tempo on your opponent’s part, as he/she can’t Downfall your Dromoka at the end of your turn). She seems to be the only Dragonlord that no one is talking about. Even Dragonlord Craplaghan is seeing some play in BR Dragons. I think Dragonlord Dromoka has a good chance of breaking out soon. 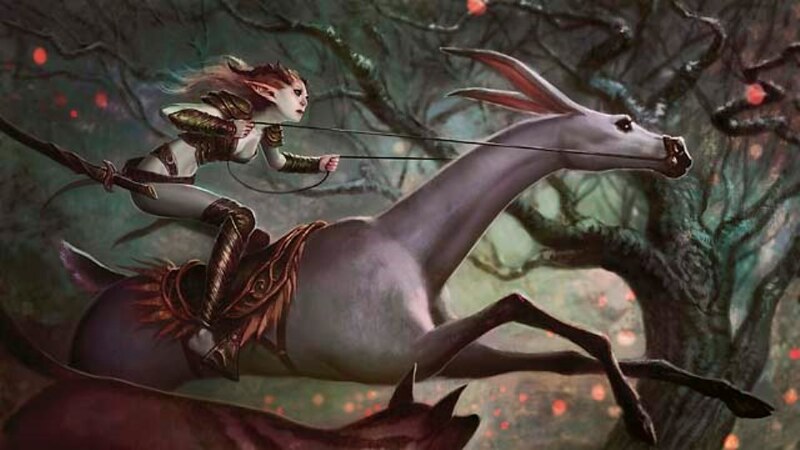 Besides Mike Flores’ Mono Blue Dragons, she is seeing play as a one off in sideboards, most notably in Robert Vaughan’s undefeated day one Abzan Midrange at GP Toronto last week. Indeed, she moved up a couple of bucks over last week. With the first wave of redemption hitting the market in slightly more than a week (first redemption orders will be processed during downtime this Wednesday), there is a good chance Thunderbreak Regent’s price will tank a little. On the other hand, if Dragonlord Dromoka sees more play, she would not stay at the $9-$10 she is currently at. It’s hard to believe in the last week where there were major market shifts that no one bought into cards that were not announced in mm15 like goblin guide, serum, inkmot etc. Id imagine most seasoned financiers would be all over this. Why is that? Oh there was definitely a buy into inkmots lol. Cellphone typo. also, oblivion stone and probe. Im just not convinced these are all they bought and sold.. I made the same typo. Serums and goblin guide seem to still be attainable. Inkmoth seems to be harder to get and isn’t worth the price. My experience has been that it is not the writers, but the vendors and major players in the shadows that do most of the buying out. Writers by nature are social…we tend to share information with each other and with our readers and we all have FT jobs that make it unnecessary for us to try and corner the market on anything. When you want to point a finger on a buyout, look to the folks who make money on Magic for a living and the players who catch on fast enough to ride their coattails. On the topic on vendor’s role in buyouts, I was really really surprise to see SCG have Inkmoth price adjusted at 24.99$ only a couple of hours after the buyout was called. Usually they sell out like everyone else and take days to relist. Just smtg that caught my attention. If you honestly think that boxes of MM2015 will be $325 by December then why did you out 6 of your boxes for $260? I’m not trying to be too skeptical, but if he really thought that he could get another $60 from those boxes, which at $325 is roughly 17% more profit for 5 months then why not hold? This is more or less the accurate answer. I’m partially hedging my bets because the reaction to the worse than expected rare pool may cause people to ignore the fact that the EV of the set is actually solid. The larger part is that flipping things quickly represents a much higher annual yield than a simple ROI calc would demonstrate. I’ll still be waiting to cash out the rest as opportunity arises. 2) Sorry, I hate *blank* touchpads on laptops for typing….and my post got posted before I was ready. Anyway, that’s 6 x $65 or $390 of profit for just at six months of holding? Cash now is cash now. He made a profit. That money can be used for a higher ceiling investment. I just bought 14 boxes of mm2 on EBay for 175 each. I think the seller didn’t realise they put it on for the BIN option. I am definitely going to flip these. Just not sure to flip now at 250 or so, or wait… don’t want the value to go down if I wait… Thoughts? That is a very good deal if it sticks. Hold tight. In two months you are likely to feel brilliant. These boxes likely won’t hit $400 this summer like MM1 did, but they can easily hit $300 as long as the supply isn’t significantly higher at retail. My sources say it won’t be, but let’s see how it goes. Even if supply is ample, you can’t lose money at that price, even if the EV drops to $8 or so per pack. Who did you buy from? I’m seeing another auction selling multiple for 175 but one reviewer says this is a scam and are deck protectors and not boxes. Did I miss something? Who buys Grafdiggers Cage @ $18??? Was a foil, sorry. Typo corrected. If you have any extra Collected Company, NOW is probably the time to sell. Mine were for personal use and I avoided the spike, but just passing on the news if you want to cash in on the GP Hype. James – Do you think it’s ever worth it to crack open a box and sell mm2015 packs individually? It certainly eats up more time and there’s a higher potential for shipping costs if everyone buys just one pack, but selling individual packs usually yields a higher return, I think? Thoughts? In my experience it does take longer, but you do get more overall. It also opens it up to more casual people who are willing to buy a few packs as opposed to a whole box. Make sure your shipping costs are setup so you don’t throw too much money down that hole. Usually a 3 of whatever pack seems to work best. Or whatever comes under 13 oz. It can be, and if you run a draft with them, it may be a solid way to build a sales network locally. Thanks for keeping this article free for non Pro-traders!